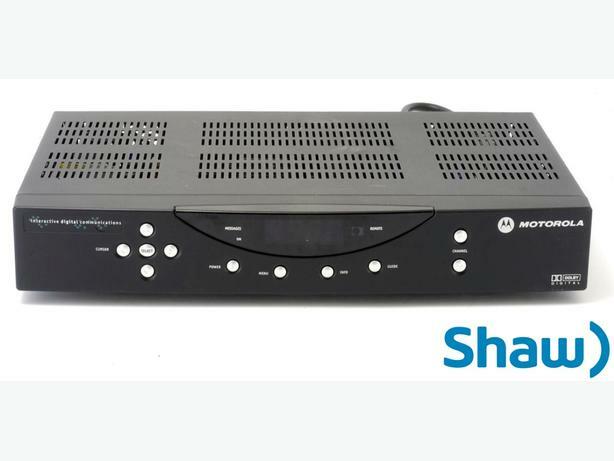 Shaw SD Digital Cable Box for Sale. Motorola DCT2524 c/w Shaw remote control. This interactive digital cable set-top supports SD digital TV functionality, including interactive program guide (IPG), Shaw-on-demand and endless (commercial-free) CD-quality music through the Digital Audio Optical outlet. Used, but in good condition.